It’s a new school year and Ryuuji Takasu discovers not only is he in the same class as his best friend, Yusaku Kitamura, but also Minori Kukshieda whom he's had an undisclosed crush on for quite some time. 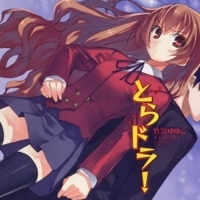 8735 users rated Toradora! [TV].